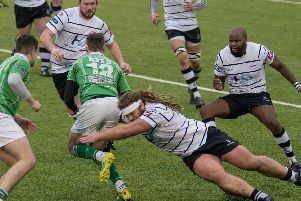 Becoming a stable National League One outfit is certainly not beyond the realms of possibility of Preston Grasshoppers. That is the view of head coach Paul Arnold who is enjoying the task of putting the club back on the rugby union map. With the Hoppers at a low ebb following relegation to the North Premier, Arnold was handed the task of restoring the club to its former self upon his arrival at Lightfoot Green in the summer of 2017. It is fair to say the former Fylde boss has wasted no time in transforming fortunes on the pitch. He led the club to promotion as champions in his first full season and this campaign, Hoppers have coped admirably after stepping back into the National League North Two. They currently sit in ninth spot – 17 points clear of the relegation places with 11 games to go . It’s all a far cry from the last time they featured at this level when they were very much the league’s whipping boys during the 2016-17 season, finishing the campaign rock bottom with just 32 points to their name. Hoppers already have 18 more points with more than a third of this season still to play and are within touching distance of consolidating their position in the division for another year at least. And if truth be told, Hoppers have flirted more with the top end of the table than the bottom. If they had turned a number of narrow losses into victories early in the season , they could quite easily be in the top three by now. As it is, Arnold does not ponder too heavily on those near misses, preferring to concentrate on the positives of what has been, so far, a fine season. “I think it’s been a good first season back,” said Arnold, who still regularly picks himself to play. “If we can get into that top eight or top seven even, which is realistic, then it’s a good first season back at this level. “We have beaten the leaders Hull at home, we’ve now beaten Otley, who are in the top six, and we have beaten Fylde at home, who are also up there. In many ways it’s been a season of ‘would have, could have, should have’ – when you look at some of those early games when we lost with the last play of the game. “If we had managed to be on the right side of those results, we could have been sat in the top three by now. “But I think if that would have happened, we would have been fully over achieving and maybe some people’s expectations would have got carried away. “We are definitely going in the right direction and we have just got to keep moving forward. 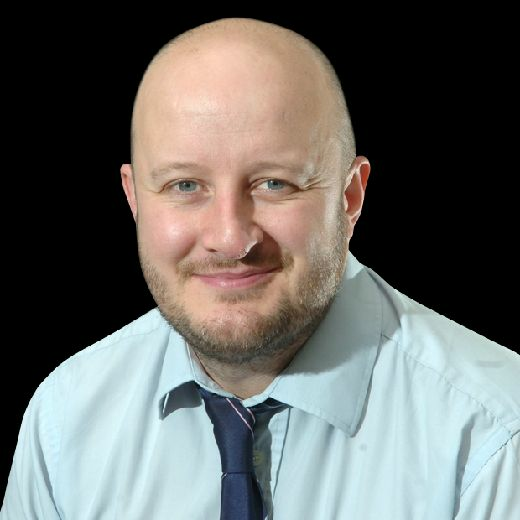 Hoppers director of rugby Gareth Dyer has, in the past, floated the idea of the city of Preston sustaining a Championship club. While Arnold does not totally refute the idea, he revealed it would take some serious investment to be able to compete against clubs such as London Irish, Ealing and Nottingham in the second tier. I think the Championship is a long way away,” he said. “National League One – if the club get everything right off the field – there’s a good chance of that. “But even the clubs in National One like Caldy and Sale – they have got big budgets and they are struggling; well they are in the wrong half of the table should we say. “You need to at least have a £250,000 playing budget to be able to compete. “There’s a lot of other extra costs such as travelling to away games and stuff. “But the club is moving in the right direction off the field. “If it can get to that and they are happy to pay it and make themselves into a self sustained model that would be brilliant. “ The club is in a great place at the minute. “They are on about renovating the clubhouse and pumping lots of money into it to make it an all-singing, all-dancing clubhouse. “Off the field they do very well earning money from the conference rooms; it’s pretty much busy every night. “The club is in a prime location. “So there is no reason why, if they want to, and we can make the club self sustainable and pass the revenue into the playing budget; then we could make it into National League One in a couple of years’ time. “It’s like anything really. If you look at Leicester City winning the Premier League in football as the fluke; it’s usually the teams with the biggest budgets and the best players who normally win it. “That goes for all walks of life. It all comes down to the money and what you can spend. “I would love it if the club turned around to me and said, ‘Here’s £250,000 – you can go and sign all the best players’. Hoppers take on Wharfedale at home on Saturday afternoon looking to build on last weekend’s 25-10 success over Otley. That win over the Yorkshiremen snapped a run of three consecutive defeats to Fylde, Huddersfield and Sedgley Park. “After three losses on the bounce it was good to win at the weekend,” said Arnold. “We had a tough start to the year after losing to Fylde in the Christmas fixture. “Huddersfield are a decent side but we kind of let ourselves down with our performance. “But you can see where they are sat in the league, that they are no mugs and we ended up getting a bonus point out of it. “Against Sedgley Park, it was two teams who basically cancelled each other out. “They got a lucky try and we missed one tackle all game which led to a try. “But the performances and work rate have been there, it’s just the results which haven’t. “So it was good to get the win against Otley, who are flying as well and high up the league. Arnold is confident that Hoppers can continue to push ahead of the season especially when he considers the strength in depth of his squad. “When you look at our second team squad for today, it almost looks like a first team back line,” he said. “We have competition for places. The lads who have the jerseys in the first team know that they have to perform because they have got these lads breathing down their necks. “It’s great to have that strength in depth especially after coming through the early part of the season when we were short on numbers.